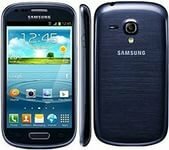 Samsung Galaxy S3 Mini Neo i8200, it is one of models of smartphone about the middle class, are performed according to the image modification Samsung Galaxy S III. Mobile phone stands out a smaller screen, the most modest data, however, but most good cost Than the senior sample. The smartphone has a four inch Super screen with 800 x 480 resolution, a dual-core processor with frequency of 1.2 GHz and 1 GB timely memory. The size of the integrated memory is 8 GB, but can be increased using memory cards of the format type microSD up to 32 GB. The mobile phone is equipped with two cameras, the main 5-megapixel with autofocus and LED flash and front VGA permission, specially for making video calls. And powered smartphone on the popular Android operating system 4.2.2 Jelly Bean.